Liverpool Town Hall stands in High Street at its junction with Dale Street, Castle Street, and Water Street in Liverpool, Merseyside, England. It is recorded in the National Heritage List for England as a designated Grade I listed building, and described in the list as "one of the finest surviving 18th-century town halls"
The town hall was built between 1749 and 1754 to a design by John Wood the Elder replacing an earlier town hall nearby. An extension to the north designed by James Wyatt was added in 1785. 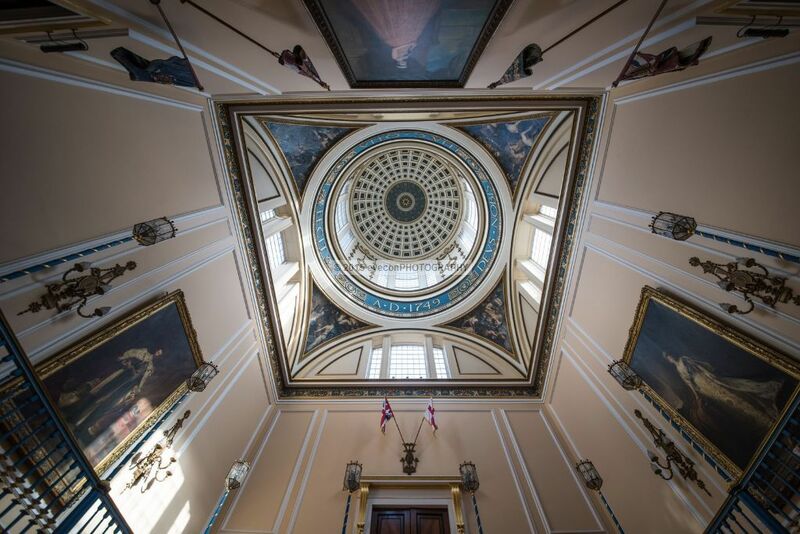 Following a fire in 1795 the hall was largely rebuilt and a dome designed by Wyatt was built. Minor alterations have subsequently been made.